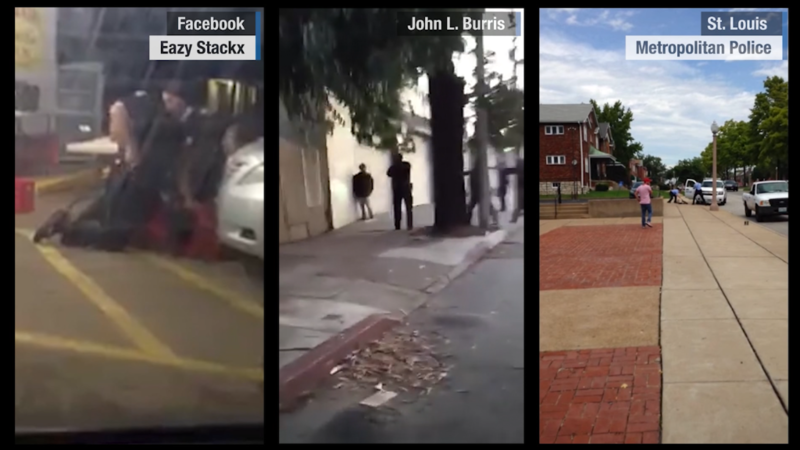 When citizens film police: Does anything change? Social media has been key to some of this year's most significant protests -- but it turns out that these platforms have also been used to target the activists behind them. The ACLU of California reported that Geofeedia had been providing law enforcement with data -- including locations -- from the social media accounts of protestors. In response, it said Tuesday that Twitter, Facebook, and Instagram had cut off Geofeedia's access to their feeds. The extent of law enforcement's social media surveillance was discovered through public records requests of 63 agencies in California, according to the ACLU of California. Emails obtained show the tools were used to monitor chatter around "the Ferguson situation," and that Geofeedia told California law enforcement agencies to find out how police in Baltimore used its tools to "stay one step ahead of rioters," after the death of Freddie Gray in police custody. Geofeedia provided searchable data from public Instagram posts, troves of publicly shared information from Facebook (FB) via the Topic Feed API, and public tweets. Information in Twitter, Facebook, and Instagram posts can be used to infer things like location, personal associations and religious affiliation. The ACLU says Geofeedia and other social media surveillance tools can unfairly impact communities of color. Movements like #BlackLivesMatter began on social media, and Twitter, in particular, is used as a platform for organizing and amplifying protests. 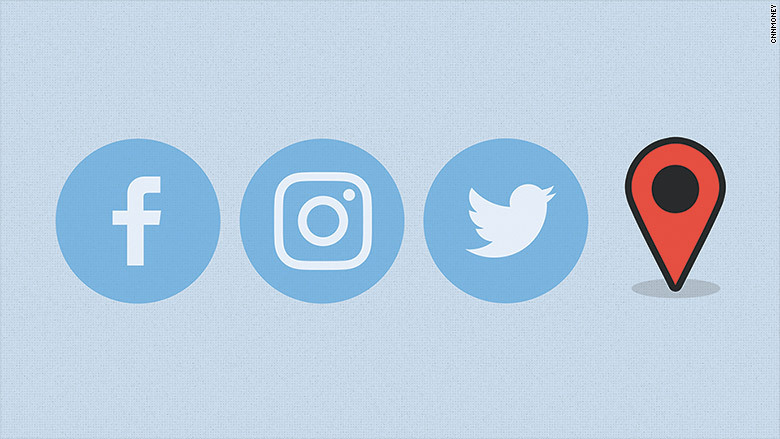 "Communities of color rely on platforms to organize, to persuade, and to spread information," Matt Cagle, technology and civil liberties policy attorney at the ACLU of Northern California, told CNNMoney. "But here, the social networks left a side door open for surveillance by the police." Law enforcement agencies invest thousands in the tools that aggregate and surveil conversation data --the Daily Dot reported that the Denver Police Department spent $30,000 on these types of tools in May. The ACLU launched an investigation in Denver in response to this report. In an email obtained by the ACLU of California through public records requests, Geofeedia claims "over 500 law enforcement and public safety agencies" use its services. After the ACLU's report on Tuesday, Twitter tweeted that Geofeedia's access had been revoked. "In addition to cutting off data access, the social networks should take additional steps to implement clear rules that prohibit the use of user data for surveillance, and oversight measures to ensure developers are not using the user data for surveillance," Cagle said. The organization is joining with the Center for Media Justice and Color of Change to ask social media sites to commit to better protecting users engaged in political and social discourse. Malkia Cyril, the executive director of the Center for Media Justice, said that people are using social media to expose human rights abuses, turning these platforms into modern day news outlets. However, the sites aren't not subject to the same kind of scrutiny or standards, she said. "I wasn't surprised," Cyril told CNNMoney. "But I do think the average user should be shocked and dismayed at the scope and the scale of what the ACLU found." A Facebook spokesperson told CNNMoney that Geofeedia only had access to data that people chose to make public and was subject to the company's usage policies. Facebook's policy states companies can't sell, license, or purchase Facebook data, transfer it, or funnel it into a search engine or directory, though it does not mention surveillance. Geofeedia did not respond to request for comment on how its software might have been used to target protestors other than to provide a statement from CEO Phil Harris. "Geofeedia has in place clear policies and guidelines to prevent the inappropriate use of our software," the statement read. "These include protections related to free speech and ensuring that end-users do not seek to inappropriately identify individuals based on race, ethnicity, religious, sexual orientation or political beliefs, among other factors." In the statement, Harris said it will continue to work with stakeholders, including the ACLU and law enforcement, for security and protection of personal freedoms.